Though there was plenty to be excited about during Nintendo’s presentation at E3 this year, the lineup focused exclusively on the Nintendo Switch, ignoring the aging 3DS and the company’s burgeoning mobile offerings. Indeed, it’s been assumed for a while now that the 3DS is on its way out, but Nintendo has been adamant that it’ll be keeping the portable on life support for a few more years at least as a cheaper alternative to the Switch. It was telling that there were no 3DS games in the presentation, then, but Reggie Fils-Aime has been keen to point out that production has not been halted. We’re going to continue [focusing on the 3DS], we’re going to continue to have some new games on that platform. We’re going to announce [them], and we will over the next number of months, but it’s going to continue to be a vibrant piece of our overall business, certainly here in the Americas. Depending on the game, E3 could or could not be a place to shed light on mobile activity. In the case of Mario Kart Tour, we made the decision that there’s going to be another opportunity to shed more light on that app, especially shedding light when it’s closer to its launch. We continue to be on track to launch it in this current fiscal year for Nintendo. What do you think? What could Nintendo be working on for the 3DS? 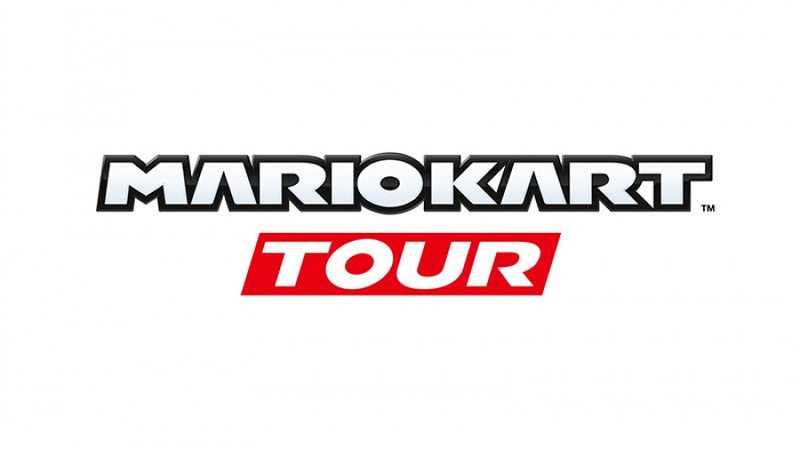 What do you think Mario Kart Tour will be like? Share your thoughts in the comments below. When a Thousand-Year Door remake is announced for the 3DS, I'll be here to say "I told you so". @20wonders I support this except I hope it’s on Switch. I’d still buy a 3DS version as the game is amazing and I’ve been dying to play it again. I predict MK Tour will be the first Nintendo mobile game I enjoy unless they royally screw it up somehow. @20wonders I want this, purely so I can revel in the salt of all the Switch owners that would feel shafted. @justin233 I would totally want it on Switch. I'm just saying it would be a total Nintendo move. Need I remind you about Luigi's Mansion, Samus Returns, and Bowser's Inside Story? Also, I wonder if the mobile game will take ideas from the cancelled Mario Motors. That would be pretty neat. For a system that I consider to be one of Nintendo's all time bests, it's stunning how fast I stopped playing 3ds after the Switch came out. I played through Metroid last year and that's really it. I'm sure at some point I will revisit all the amazing games I have on that system. Glad to hear that Nintendo hasn't forgotten about the 3DS. I am certainly looking forward to how Captain Toad Treasure Tracker will fare on 3DS. And hopefully we get at least one surprise 3DS game announcement, whether that be another port or an original title, before the year is out. @20wonders To be fair, Luigi's Manision is a modified version of it's sequel, Bowser's inside story is again a modified version all the other M&L games, and Samus Returns entered development a long time before it was announced. A remake of Paper Mario TTYD? It's probably possible to base it off of Sticker Star, maybe? So I guess it's possible still. I'd totally buy it if it happened. @Angelic_Lapras_King They better not remake Sunshine for the 3DS and not the Switch. That would make me really disappointed because Sunshine is the only main Mario game I haven't played. "in this current fiscal year for Nintendo." So by MArch 21, 2019, correct? Mobile games barley get announced before releasing, they just seem to release, so I wouldn't' expect a lot of coverage for this one. Probably at either a big Apple or Android conference depending on which is getting it first. I'm still waiting for MyNintneod Rewards for Pokemon Quest. It should be coming to mobile soon, so it should have some type of platinum coin rewards o nthere. Will Nintneo simply continue to ignore Switch for MyNintneod Rewards? @JHDK Same here. I love the 2/3DS and have more games on that system than any other platform, yet the day I picked up my Switch I stopped dead. I also played Metroid and that's it. I'm super hooked on the Switch and my library is growing fast!!! @20wonders I would be more than happy with that, honestly. An actual, good Paper Mario would be a great swan song for the 3DS and its killer library. I want the Switch to get a brand-new Paper Mario that returns to series routes, instead. TTYD is possibly my favorite game of all-time, but for story-driven games like that, I don't want an HD remake for $60. Besides, the game looks great as it is, I really don't think it needs the graphical overhaul. @SwitchVogel: I'll bring a chalice so that we can drink their tears. "When a Thousand-Year Door remake is announced for the 3DS, I'll be here to say "I told you so". My heart can stop beating if Paper Mario The Thousand Years Door ported to either 3DS or Switch. You know, Nintendo giving more details on Mario Kart Tour could do a lot to reverse their currently declining stock price, given how much Nintendo's investors love the mobile gaming market (just look at how much Nintendo's stock price spiked when their previous mobile games were announced). Aside from that, I'm interested in seeing how Mario Kart Tour actually plays. Will it be a stripped down version of Mario Kart 8? Will it be something quite different but still Mario Kart? I wouldn't expect much stuff to be announced for the 3DS. Maybe another remake of a Mario & Luigi game lol? Another compilation game ala Mario Party Top 100/WarioWare Gold? Almost forgot that Mario Kart Tour was a thing. Thanks Reggie! @20wonders I didn't play that game on GC so that would be great for someone like me. I still love my 3DS system. The screen quality really struggles when compared to the Switch but it's still a wonderful little system and it's easy to hack for emulators etc. I'm glad to see them still supporting the system. @20wonders Honestly, I’d prefer a Thousand Year Door remake on 3DS over Switch. The 3DS is far more portable (and RPGs definitely benefit from being able to be played whenever, wherever), plus the paper aesthetic kind of limits how good the game could potentially look in HD, anyway. Plus, it’d be $40, as opposed to $60. Sign me up. Interesting that low-lentecy multiplayer in action games has been such a huge mess on mobile devices, that no-one has managed to make a proper Mario Kart clone before Nintendo shows up with the real deal. They probably announce more information at like a apple mobile event. Still not interested in mobile games even Nintendo's offering. I'm probably not the target audience. 3DS has seen some better days...I just noticed the decal on my new 3ds monster Hunter edition is coming off. @Pod We still don't know what it'll look like. My money is on ghost races; I don't think live races will be done here, but I'd love to be wrong. I remember seeing "new" Game Boy Advance systems sitting on store shelves as late as 2008-2009. At that point I am pretty sure they were "new-old stock", leftovers. So I imagine the 3DS will be around for a long time as the budget option product. There are a ridiculous number of 3DS games that have never left Japan that can be localized in the west and treated as "new" games. It just depends if Nintendo is willing to fit the bill for the translations. I'm still hoping for that rumored Link's Awakening remake for the 3DS at some point. Nintendo has a pretty lengthy history of giving systems a new Zelda game as a swan song towards the end of their retail lifespan so it could certainly happen. @dublae When and where did Nintendo say there's a new Zelda coming to 3DS? Eh. Until they announce more, I take this as flashy PR talk. I’ve seen Nintendo promise one thing and then never fulfill it plenty. They were adamant the DS wasn’t replacing the Game Boy line and that changed fairly quickly after its launch. I’m not saying it’s impossible they will announce more 3DS games but they’re sure as heck not gonna tell us that they aren’t, it’d discourage any sales at this point (and the system is still selling). That whole if-its-not-in-the-next-6-months-we-don’t-talk-about-it E3 policy was a dumb strategy. "some announcements on the way in the next few months"
Ya should have done that AT E3. Might be they aren't aren't doing real-time at all. Or only doing it on tablets where people can have half the screen each, when sitting in front of eachother. I've seen this pulled off before, and it's a rather "Nintendo" idea to push. I wonder whatever happened to these two games. Hmmm... maybe these remain a rumor forever. @retro_player_22 The Legend of Zelda: Balls? Look forward to see what remakes they release. I'd like an upscaled remaster of Minish Cap. And this is all thanks to the many stability updates. Mario kart Tour having a spot at E3? Nooooo thank you. I dont want mobile games at my E3. What ticks me off even more is that it'll be even LONGER until we get MK9 because of this game. I really wish it didn't exist. @retro_player_22 Those are confirmed fakes, bud. But there will be another Zelda for 3ds, don't worry. I forgot about Mario Kart Tour long ago. I’m still waiting on the elusive Persona Q2 so that should be one of the announcements. I thought so, no 3DS at E3 meant nothing about the 3DS' future. Nintendo will just announce a bunch of 3DS games in the next Direct that covers 3DS along with a release date for Luigi's Mansion and Bowser's Inside Story. @thesilverbrick I don't think TTYD would look bad in HD if Color Splash is anything to go off of. @Heavyarms55 The only new GBA game I saw in stores in 2008 was Drill Dozer, that drilling game that Game Freak made. I'd really like a western release of the snack world for the 3ds and switch. Even though the 3ds version was released a couple years before the switch version in japan releasing both here at the same time would give everyone a chance to play it on their preferred device. @electrolite77 @Prof_Yoshtonics I don’t think t was Nintendo that said it but maybe one of the guys who worked on the other Zelda 3ds games suggested there’s a Links Awakening remake coming this year. If it is, this may be one of those “directs” a month or two before release situations. @20wonders Yeah, but they were still selling existing games and consoles, and that's what I expect to happen to the 3DS. Ah I see, yeah. I'd heard the rumours I jut didn't think there was anything official. I guess Apple's september event has a pretty big change. Announce in September and limited release on iOS in december just like Super Mario Run again? They got huge coverage from Apple. Combine that with the Mario Kart brand and I think this mobile game could be the most succesfull one. It was probably good not to take Mario Kart Tour to E3. Look at the reaction to Command and Conquer in the EA showcase. @20wonders TTYD in 3D? What's not to like? I mean great it's getting games but I can't help but wonder if this is partially responsible for the disastrous E3. They struggled to maintain two consoles before and we all though it would help when the two divisions were combined but they're still trying to do the same and I have to wonder why? @Yorumi Nah, I don't think they're putting serious effort into 3DS. It had no presence at E3, I imagine ports or third party exclusives or small otherwise mobile games (or simultaneous Switch releases like Sushi Striker). But they still make money on it. They say (over and over and over) it's for the young kids market (it must be working, people are buying) because it's cheap. But it's also in Reggie's answer above "The Americas"......it's not about selling 3DS in Manhattan, it's about it being hard to sell Switch in Colombia. @NEStalgia I generally do think it's a small presence and all. I still think it's a valid question though why hasn't production picked up? I know 2017 was in large part to taking nearly a year off but the 3ds staff had to go somewhere? @MasterJay I think the AC:BC Direct was only a month before the app, so I'm guessing MKT gets one then as well, but since this app may be 9 months out no reason for them to talk about it now. @Yorumi I think the 3DS staff is working on Switch games, but they just got done with 3DS stuff and Switch games will have 2-6 year turn-arounds if basing on industry standard (there's a new Assassin's Creed every year but they have multiple teams working simultaneously on different future AC games.) Nintendo doesn't have 4 Zelda teams, they have one that also does other games, plus the old zelda handheld team that likely is working on 2.5D zelda based on Aonuma's comments last year. The ACNL (3DS) team has been doing ARMS and such. Technically they collapsed all the studios into one big studio though, for Switch, so it's not "the 3DS teams" it's bodies added to existing projects to speed them along. @NEStalgia it's mostly just that it's hard to imagine E3 being this bad, and 2018 in general, when they've combined their divisions. It just has the appearance of business as usual and nothing has changed. @TommyTLG One is a fire theme game and the other is an ice theme game, probably would had take place in the same setting but with varying differences similar to Oracle of Ages and Seasons. @Mac-Man Show proof and maybe I'll believe you. @Yorumi The appearance really can't change. They may be Nintendo but they're not a mega AAA hit factory like Ubisoft and Square, They do it by having well over a dozen studios around the world totaling tens of thousands of employees. They can only turn around so many big games so often, and doing so takes most of their dev pool. They've thrown more people at these new bigger projects from what used to be smaller teams. Meanwhile the smaller teams were relied upon to produce small 3DS games which now aren't quite as small on Switch, and the push for DLC consumes more of that output. They're not a huge studio in terms of dev capacity, and they rely on the 3rd party exclusives from Japanese devs, of which there will be many, like 3DS, but they've only been in production a year. But if you compare the number of Nintendos games (including DLC and ports) to EA, 2K, Bethesda in the 1-year timeline, Nintendo's still got more coming. E3 was bad not because of minimal content but because of how they (didn't) displayed it. Yeah it's not a hit exclusive per month, even Sony doesn't have that. But it's solid. The big thing is all those teams are working on the games they're not talking about yet, because they're not due this year. They just wrapped up Odyssey and BotW, so those teams have been working for a year on the new stuff. Give them another 1-2 for a final product. The smaller teams are filling in staff. Monolith has been on the DLC/sequel (stand alone DLC/mini-sequel) They call it DLC but it seems more like a full on game to me. Bad presentation. I wasn't expecting XC2.5 but here it is. @NEStalgia I guess it just seems worse because I feel like nintendo has been in a rut. I'm mostly hoping to see an increase in production to hopefully get some things that kind of surprise me. It feels like it's been a while since I felt like they did something with some real ambition. Everything they produce now just seems so rote, the sequels hardly move things forward and the projects are just the safest things possible. The output wouldn't feel so bad if we got another LTTP, Yoshi's island, mario rpg, OOT, or sunshine, or melee. @retro_player_22 a simple Google search of that image of the Zelda logos will take you to a Japanese website that notes that it's clearly fake. Sounds like the perfect time and place. Well not for me I'm an Android owner, but for Ntinedo. @Yorumi I wouldn't expect a production increase. Their size, and the increasing scope of projects in the HD era mean all studios are ramping DOWN on # of titles, not up. Ubisoft remains an outlier even among the big 5. And Nintendo doesn't have the staff to really crank them out like they once did (though again, even on SNES they didn't have all that many titles, much of what we remember were 3rd party exclusives, plus those Nintendo classics.) And even if they can produce more, they're going to hoard them for a rainy day when they need the titles to maintain momentum as they have real gaps in lineup. 2018 really doesn't have gaps. I'm going to go broke in the next 6 weeks on all the Switch games (including 3rd party I held off on other platforms for) Nintendo needs to have a "well scheduled lineup" more than "all the games they can release at once." So I see why they'd hold back even if they have stuff. They're good right now. Mario Tennis releases in 3 days followed by a slew of RPGs including Octopath. But, I think LTTP was already done with BotW....that was a big series re-imagining that surprised. Mario RPG was square...but I'd say Mario + Rabbids was our shockingly good Mario by another company game....so that box is ticked well. OOT....a magic masterpiece for its time. We'll see. Sunshine was panned. It's a cult favorite but it wasn't well received. In a way SF:0 was our Sunshine....a crazy experiment gone wrong....except SF:0 isn't a cult legend like Sunshine is. Melee...wait, did you not hear, there's a new Smash coming! Seriously though, maybe Splatoon is that..... I don't think it's a rut per se. Less so than most of the industry. It's just their experiments haven't been as well received as some old ones, and nothing can live up to the old legends. But the risk taking is still there, between the "safe" money makers. Sushi striker was not safe, Tokyo Mirage, heck BotW wasn't safe. Codename Steam.....ARMS....it's just a shame their risk taking isn't being rewarded, they'll no doubt hold back on such experiments. @rjejr I remember when apple events were a big deal.....now they just kind of are there. I think the wax is off the apple. @NEStalgia I suppose BOTW is a good example. What I mean more though is things that feel like they really take games forward. Melee is a good example here. Yeah I'm excited for the new smash but it still feels very rote. Melee was a real evolution of what smash64 started. You had a lot of new game modes to keep you busy and it was just beautiful by comparison. Now granted I know we're not ever going to see a generational leap like n64 to gc in terms of graphics again. But I think you get what I mean there. The games I mentioned felt like they were really built with love, passion, and ambition. Even BOTW is still mostly a half step to me. The world is beautiful but very empty, and shrines get repetitive fast. @NEStalgia I think the wax is off the apple. Well of course you would think that you don't have an iPhone. I'm guessing the Kool-Aid drinkers still care though. Maybe not as much, but those press events always get a lot of coverage online. I don't watch them, but I always know when they are and what's in them and I don't even care. 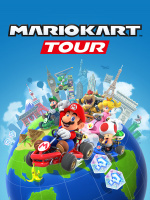 Obviously Mario Kart Tour will be the same as EVERY other game Nintendo have brought to mobile (Niantic made Pokemon Go) - a fun, pick up & play, dumbed-down, smaller-scale experience. Nintendo are using mobile as a way to attract consumers to their franchises and entice them to shell out for the FULL experiences of those titles on their home/portable consoles. Maybe Mariokart Tour will be based on real tracks from real countries which would be cool. But they should also leave the Mario kingdom tracks in there so players could go back and forth and play in two different worlds. Just my guess. I'm also expecting we do get Dragon Quest XI at some point. I'm going to just give up on Dragon Quest X, which should have come out on Wii in North America.. but yeah I think we will see Dragon Quest XI on 3ds. Reggie is a flat out LIAR!! Their quarterly report came out today, and 3DS isn't up in America, they went from selling 420,000 units for this period in 2017 to 200,000 in America in 2018, that's a DECREASE Reggie, not an increase, and you fanboys are eating up his lies!! !